■ Narconon rehabilitation centers and drug education groups span five continents. ■ More than 160 government agencies and organizations globally have partnered with Narconon and use its methods. ■ Narconon has salvaged nearly 40,000 addicts and educated more than 16 million students. 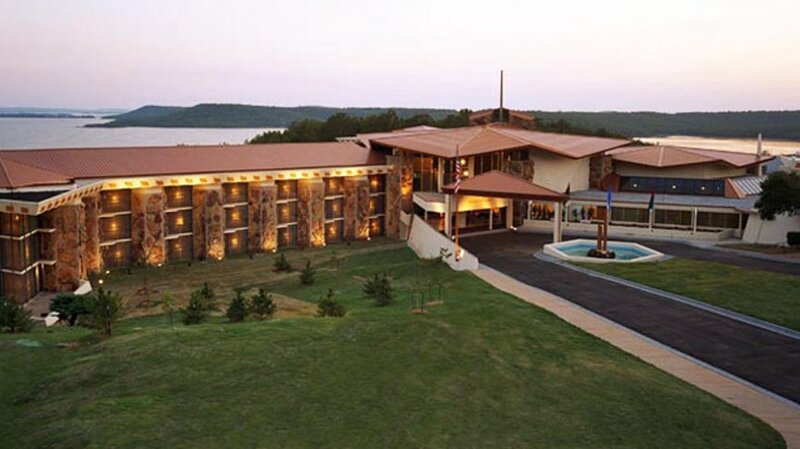 Narconon Arrowhead has provided on-site internships for professionals from 20 nations and 47 U.S. states. The Narconon rehabilitation program has received college accreditation and is approved for continuing education for drug rehab specialists. Narconon delivery materials are now available in 18 languages. Narconon staff work with individuals of all races, diverse religions and cultures and a wide range of professions and vocations. Narconon has trained agents with the Philippine Drug Enforcement Agency and Dangerous Drugs Board, collaborated with the army and navy in Sweden, delivered presentations on drug rehabilitation and prevention at international conferences, and worked with police forces, civic organizations, businesses and youth groups around the world. The need for effective drug rehabilitation is greater today than ever before. To further increase its efforts, Narconon has built alliances and partnerships with community leaders, health professionals and government agencies around the world. Following is a sampling of their recognitions and expressions of support for the Narconon program. As Chairman of the Senate Select Committee on Substance Abuse, I would like to take this opportunity to thank you and your organization for the work you have done in fighting substance abuse. Because of the hard-working Narconon program and other similar organizations, the current ideal of a drug-free society may one day become a reality. The accomplishments of Narconon speak for themselves. The response letters from people who have participated in the program indicate total support for Narconon. Narconon’s unique approach in helping addicts off drug dependence at a more rapid than normal rate is remarkable. The fight against substance abuse must be a joint project involving both government and the private sector. I am proud to be associated with Narconon and encourage others to join the fight against substance abuse. —State Senator, U.S. The scourge of drugs remains one of the most difficult and vital challenges that our society has yet to overcome. This cycle of hopelessness must not continue, and only through the determined efforts of individuals and organizations such as yours can we prevail in this struggle. For the past 25 years, you have been actively involved in helping to prevent drug abuse, and counseling and educating those individuals who have fallen prey to the allure of illicit drugs. Since your founding in 1966, you have expanded to include Narconon Centers in countries worldwide, strong evidence that your programs and methods have proven to be effective. —Former Governor, State of California, U.S.
Narconon has a unique position in the rehabilitation field. It offers addicts a relatively painless drug-free withdrawal—something that most addicts and professionals consider impossible. It has developed effective programs at no cost to taxpayers, at a time when the [U.S.] government has invested billions of dollars in experimental approaches that have not offered satisfactory solutions. —Medical Doctor, Drug Rehab Specialist, U.S.
I’ve now put nearly 4,000 individuals through the Hubbard detoxification program. I can say without a doubt that it works. It’s still the only treatment that addresses the effects of accumulated toxins. And there’s nothing else on the horizon. —Medical Doctor, U.S. In the course of my work I have had the opportunity to observe firsthand the results of the Narconon New Life Detoxification program, and have found them to be nothing less than miraculous. The common theme expressed by people who have completed the program is that they are no longer encumbered by chemicals which were shutting off their lives. They express increased mental clarity and new hope for the future. Their lives upon completion of the program are happier, healthier and more productive. —Medical Doctor, U.S.
WE HAVE FOUND YOUR INFORMATION AND RESOURCES on the EFFECTS AND IMPACT OF DRUGS to be INVALUABLE and EASILY UNDERSTOOD. For many years I have dedicated myself to the difficult task of rehabilitating substance abusers. I have studied a variety of systems of rehabilitation and I have concluded that we have in our possession a totally workable program through Narconon. In a study conducted in Spain by an independent sociological research foundation it was found that 78 percent of the individuals were still off drugs two years after they completed the program. In another study in Sweden, it was found that 80 percent of the Narconon graduates who completed the program were still drug-free five years after completing the program. The Spanish study also showed that before entering the Narconon program, 62.2 percent committed robberies and 73 percent sold drugs. After the Narconon program, robberies and drug dealing decreased to zero percent. In other words, 100 percent had no criminal activity after the program. Over and over, I have seen drug addicts go to the Narconon program and leave drug-free. —Medical Doctor, U.S.